A little about the Kids Club . . . 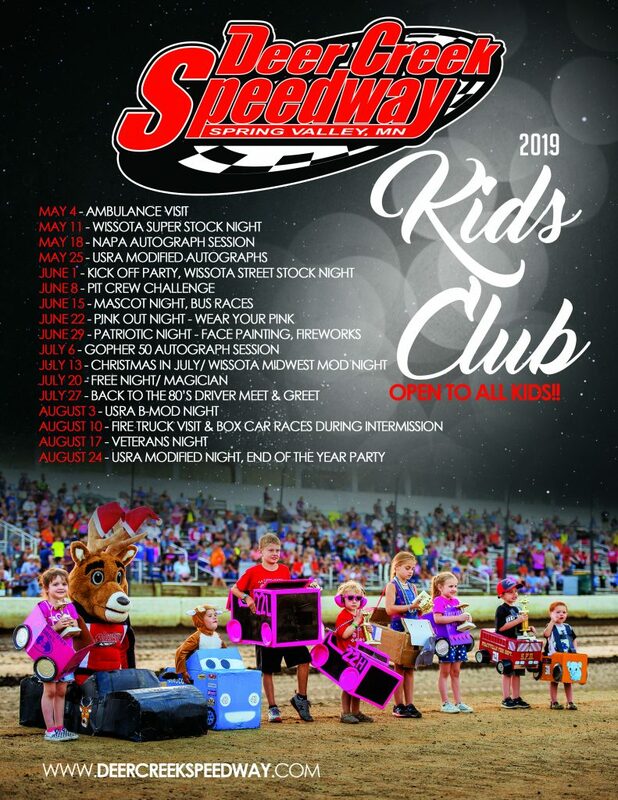 Deer Creek Speedway Kids Club was formed in 2009 for all kids visiting the speedway. 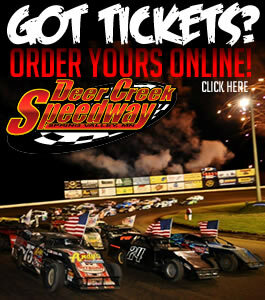 This coincides with kids 12 and under being admitted free to the speedway on all regular points nights of racing. The Kids Club brings a new level of excitement for the youth attending the races. Meetings can consist of special attractions for the youth, such as coloring contest, behind the scenes tours, meet and greet with several drivers and autograph sessions. PARENTS – Check out the Parent’s Handbook for important parent/guardian information regarding rain cancellation announcements, emergency practices and junior crew events. The 2018 schedule is available below.